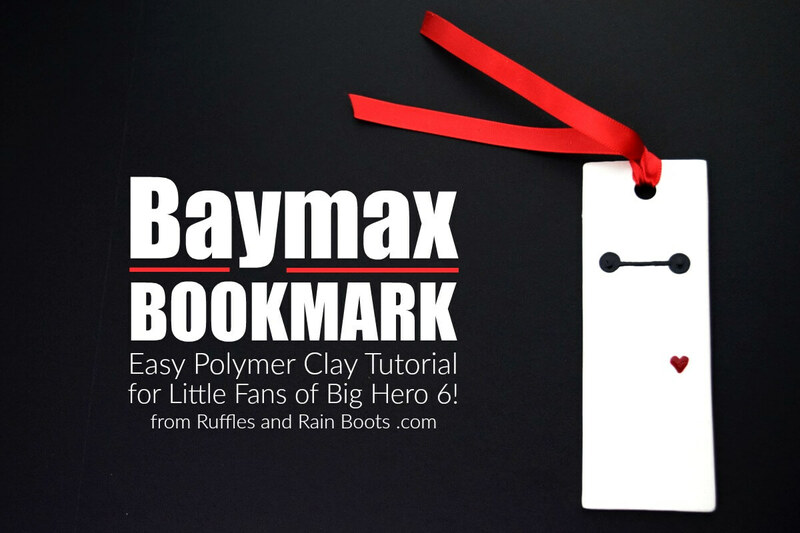 This Baymax bookmark made from polymer clay is the perfect Big Hero 6 movie night craft. Early readers will love making this craft! But before you do, learn the trick that will save you time and effort. Our daughter and her classmates are ramping up on their early reading. They’re at the stage they WANT to read on their own, so we’re giving them all the books we can get our hands on. At the library with friends, we picked up a Big Hero 6 book and the kids couldn’t wait to read it together. As an incentive to actually leave the library, we set up this quick polymer clay craft for the kids. I didn’t want to set up my camera while the kids were making the Baymax bookmarks, so we made another one to share with you all. They take next to no time to make (plan 20-minutes for making but 1.5 hours for baking and cooling). Tape 2 craft sticks together and repeat with the other 2 sticks. Tape those to a clean surface a few inches apart – you’ll roll the clay out in the center of these stacks. Roll out the white polymer clay. The clay will be rolled even because of the craft sticks. 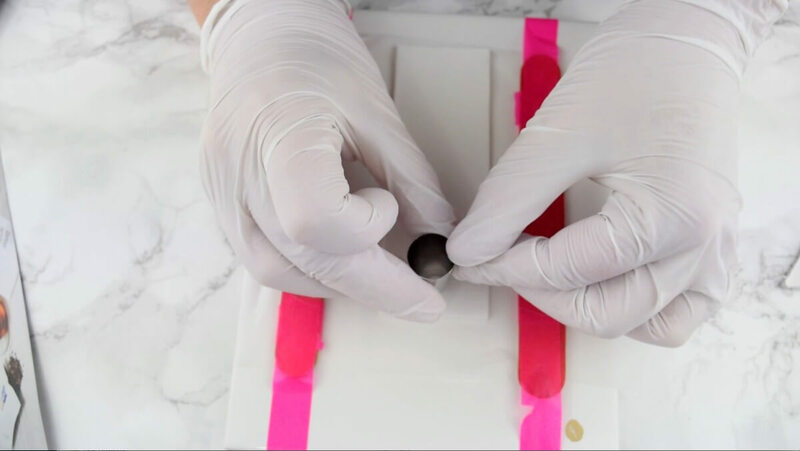 You can choose to roll it out on a piece of parchment paper or transfer it later. 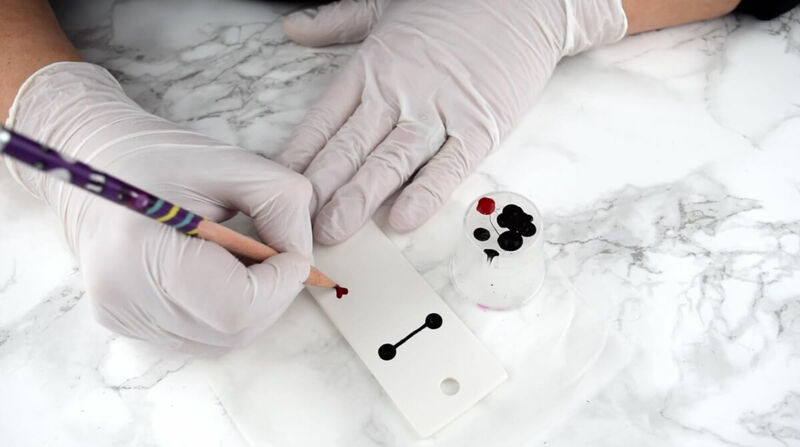 Use a knife or clay cutting tool and create a long rectangle – ours was about 2-inches wide by 6-inches long but honestly, the size of your Baymax bookmark doesn’t matter. Transfer the clay to a piece of parchment paper (if you didn’t roll it out on some). Use the straw or a piping tip to punch a hole in the bookmark at the top. Leave at least a quarter of an inch between the edge of the bookmark and the hole. Optional: use a piece of parchment or wax paper to round the edges on the top of the bookmark. You do this by placing a piece of paper on top and gently running a finger along the edge. Don’t apply pressure. Bake the bookmark at 220 degrees (F) for about an hour and 20 minutes. The goal is to bake it low for a long time because we want it to be a bit rubbery and bendy. Perfect for a bookmark! Once the bookmark has been baked, let it cool completely inside the oven. For some, we waited 10-minutes, others we forgot about and they were in there about 30-minutes. Both sets worked, but cool it for as long as you are able. If you have it, glaze the clay bookmark and let it dry. Once the bookmark has cooled, grab your favorite paint pen or Sharpie marker and create two circles for the eyes and a line to join them. If you watch the video below, you’ll see we used the eraser end of a pencil (and we used a trick to help kids draw a straight line). Seal the bookmark with ModPodge or an All-Purpose Sealant using a foam brush. Let dry (it won’t take too long). 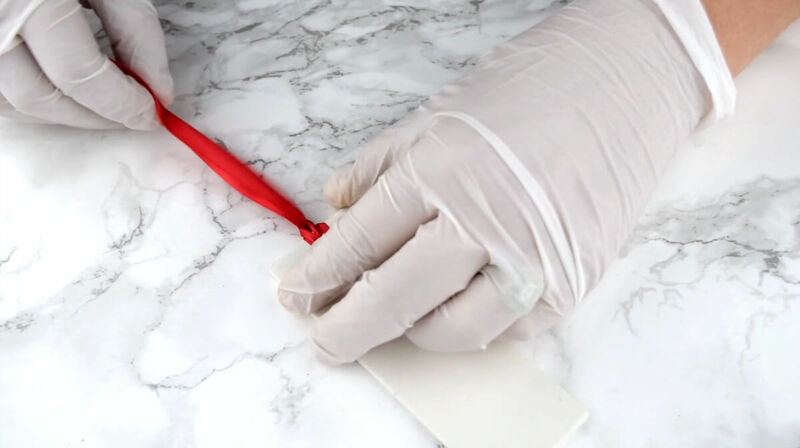 Cut a 6-8-inch piece of red ribbon (parents can burn the ends if the ribbon frays). Loop it and pull the ends through to make a tag for your Baymax bookmark. We made this Baymax bookmark (the second time) as part of our Big Hero 6 Movie Night. It was a great craft for the kids and one they were very proud of by the end of. If you love all things Baymax and the Big Hero 6 team, please share this fun craft on Facebook or Pinterest. Your shares are how we grow and we are sincerely thankful for you being a part of that. What a cute idea! I’m such a lame mom….we haven’t even watched it! I bet my kiddos would love it too.